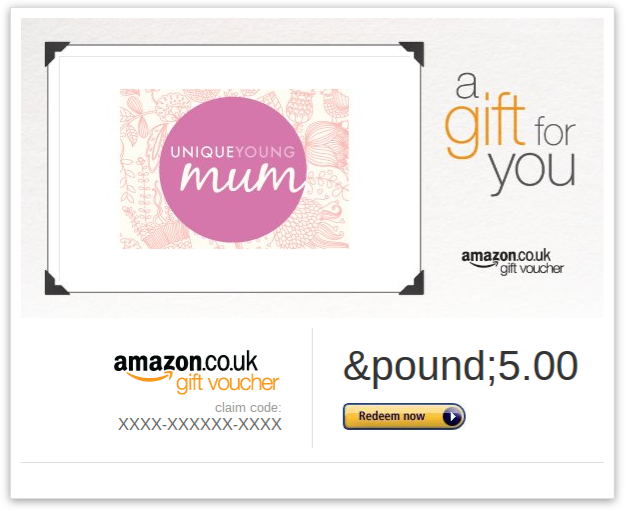 Win a £5 Amazon UK voucher from Unique Young Mum. Hello everyone, I hope you're all doing really well! I can't believe that we're half way through the competitions all ready! I hope you're all having lots of fun entering them all, more fun than I'm having writing them up I'm sure! Haven't we got some brilliant prizes this year!? To think of how things were three years ago, when I was new on the scene, to how things are now, is unbelievable! I've enjoyed every single moment of my blogging journey and I can't wait to spend the next year writing away here on Unique Young Mum! To celebrate not only my blogs birthday, but to also mark the halfway point in the competitions, I'm giving away a £5 Amazon (UK) voucher to one lucky reader.